George Milner is the lawyer’s lawyer. He is continuously sought out for legal advice by other criminal law professionals. He is regarded by many long-time federal prosecutors as the finest criminal defense attorney in this part of the country. Senior prosecutors and judges frequently say, “If I were ever in trouble, I’d hire Milner.” His courtroom successes over the years have proven his mastery of the art of trial litigation. Time after time in Federal and State court, Milner has repeatedly heard the words “NOT GUILTY” from juries. He is particularly adept at white collar criminal defense. During the savings and loan scandal of the 80’s and 90’s, Milner successfully fought one bank fraud case after another. Prominent businessmen, who were facing serious prison time, were now turning to Milner as the one lawyer who could save them. Milner quickly rose to the coveted position of being able to pick his cases. And, Milner did just that. Milner was selective as he knew wealthy individuals were lining up to hire him. Prospective clients knew the simple fact, if you couldn’t afford to go to federal prison, you needed George Milner as your lawyer. Milner’s skill is not limited to complex white collar litigation. He has successfully tried many murder cases. A Dallas prosecutor once described a murder trial against Milner as “brutal.” The Assistant District Attorney stated, ” This is the ugliest thing I’ve ever seen. [Milner] has the jury eating out of his hand.” Milner has tried several capital murder trials where the State sought the death penalty. Only one client ever heard the jury return a death verdict. That case was reversed on appeal and this person is now serving a life sentence. Milner was a member of the Law Review at Southern Methodist University School of Law. 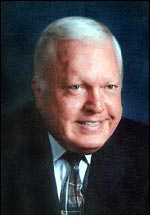 He was an Assistant District Attorney in Dallas under the legendary District Attorney Henry Wade from 1960-1964. He was elected President of the Dallas County Criminal Bar Association in 1971. He was a member of the original group of Texas attorneys to be Board Certified in the area of Criminal Law by the Texas Board of Legal Specialization. And, he is a charter member of the Texas Criminal Defense Lawyers Association. He is a member of the National Association of Criminal Defense Lawyers, the Texas Criminal Defense Lawyers Association and The Dallas Defense Lawyers Association.